The theme tune to iconic 1950s-set American sitcom Happy Days plays out as the three members of Daphne bid us their slightly sinister farewells. If they keep up the form displayed over the course of these 60 exhilarating minutes, then plenty good times are just around the corner for Phil Wang, Jason Forbes and George Fouracres. All three have various qualities (though a certain creepiness underpins a lot of what they get up to) and their number means that the pace never lets up with different combinations of the trio in front of us at all times. They also never have to rely on voiceovers to keep the momentum flowing while their stripped-back approach allows a foregoing of clunky costume changes. All they need to worry about is producing excellent sketches, and they’re threatening to be the hottest gang in town on that front. It’s hard to think of a single weak routine during the hour and when they hit their stride, the laughter which fills this Pleasance cabin is often ringing out for more than one reason at a time. 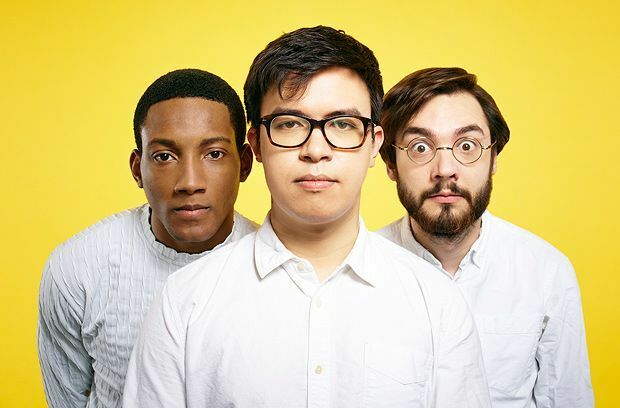 There are songs, a recurring hospital-based scenario and a bit of passive-aggressive banter with their tech: all standard sketch team tropes which they cunningly forge into their very own thing. There’s a deliriously warped Postman Pat and Peter Pan bit and the reason why Wang keeps banging on about his unfeasibly large coffee is finally revealed with a wild slapstick moment that will hopefully not result in an injury to Forbes before August is out. Having scooped this year’s SketchFest (a crown previously taken by Gein’s Family Giftshop and The Pin), Wang, Forbes and Fouracres have joyfully delivered on the promise that such credentials suggest. These days are Daphne’s. Pleasance Courtyard, 556 6550, until 31 Aug (not 17), 3.15pm, £8.50–£10.50 (£7–£9).